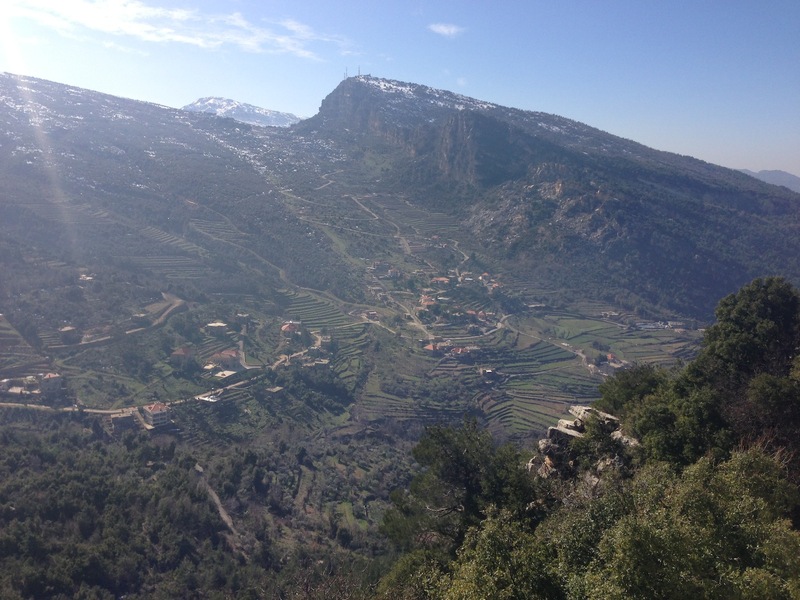 I finally had enough time on my hand to visit one of my favorite places in Lebanon: the Cedar mountains. They are probably the most underrated locations in the country and are nowhere near as visited as they should be because, quite frankly, very few places in this country can rival them in sheer landscape beauty. 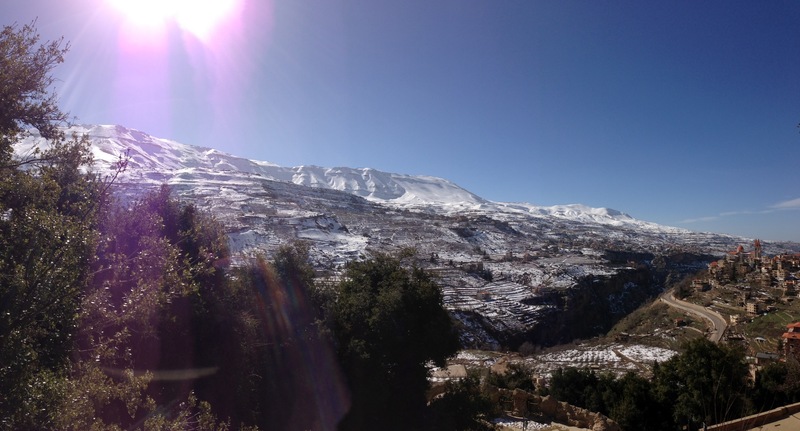 Using my iPhone 5’s panorama feature, I was able to capture what I believe are pretty decent shots of the drive up to the mountains, the town of Becharre with its snowy mountainous backdrop, the Cedar Mountains themselves and part of the Kadisha Valley known as Qozhaya on the way back. These locations may be far from Beirut – about 130 km – but they’re worth every single minute spent driving and every dollar spent in gas. I think I’m lucky that I live nearby and only need about 30 minutes to get there. The slopes are superior to those of Mzaar/Sectarian-Kfardebyan and while they are less taken care of, they’re much cheaper and you will be able to get your full money’s worth out of them. The people are a whole lot friendlier as well. So while many Lebanese are overjoyed that some international publication (click here) has chosen Beirut as the #1 city destination of the region – as if that’s a very hard thing to pull off – I felt like I ought to highlight something in Lebanon that is so ahead any form of “best of” competition in this region that it’s #1 always. 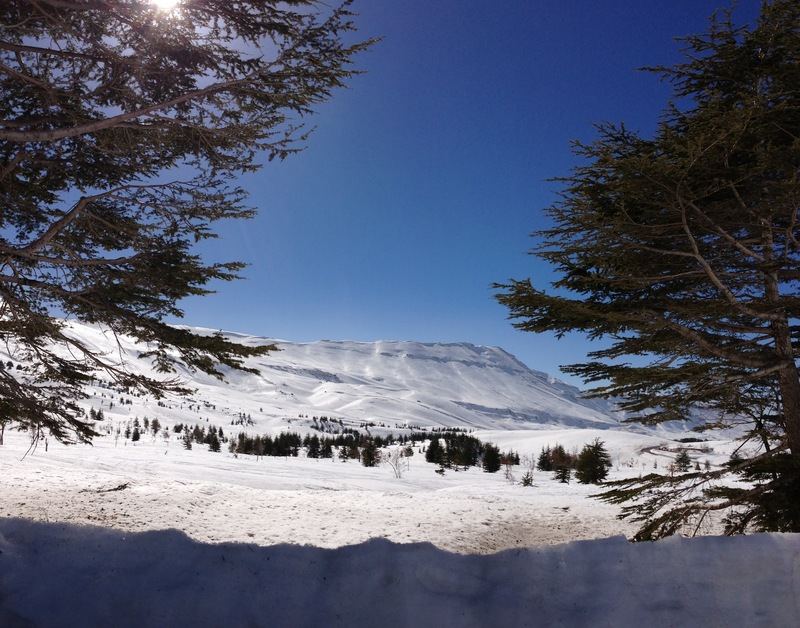 This entry was posted in Lebanon, Photography and tagged Cedars, Landscape, Lebanon, Mountains, North Lebanon, Photography, Scenery, Ski. Bookmark the permalink. It’s one of my favorite places in Lebanon as well! 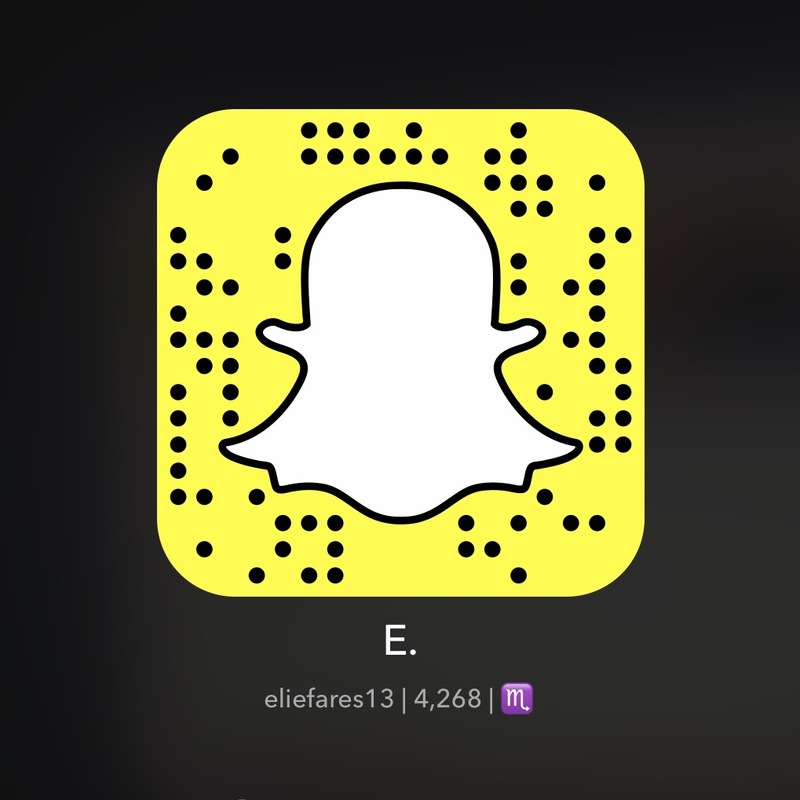 Beautiful pictures Elie, my girlfriend and I enjoyed them very much. Nice photography! Would love to visit Lebanon some day. You’d me more than welcome.